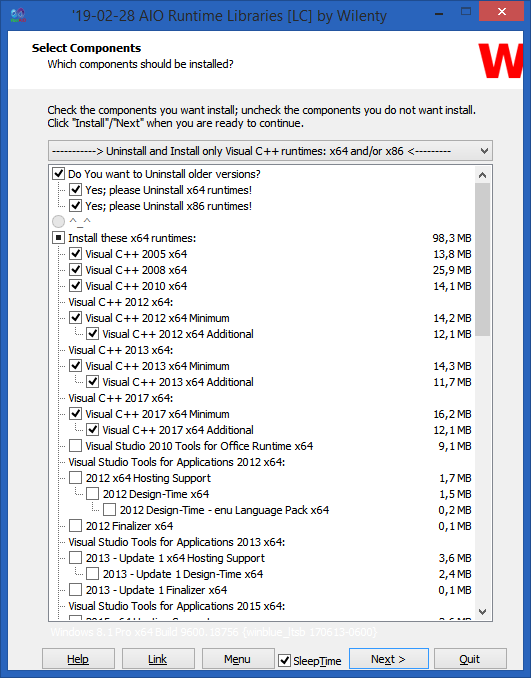 AIO Runtime Libraries by Wilenty (Installer/Uninstaller) is designed to install and uninstall any Visual C++ versions. 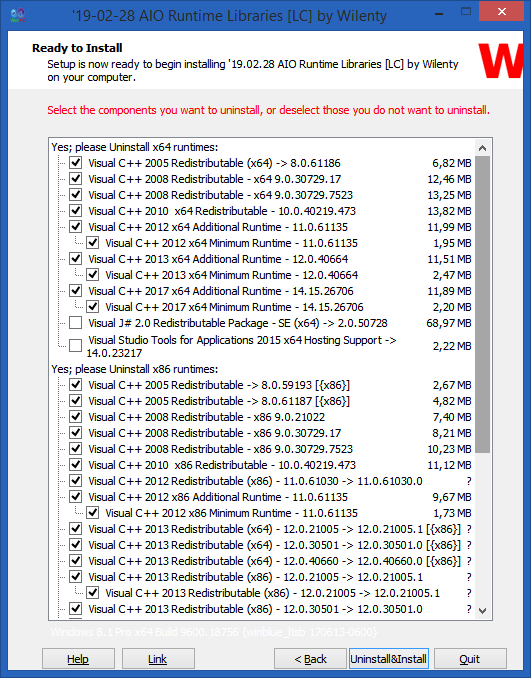 AIO Runtime libraries by Wilenty (Installer/Uninstaller) has fixed Visual C++ problems for hundreds of thousands of people, but it did have one thing we didn't like. Visual C++ Runtime Installer runs as a command-prompt, and it installs everything. While that fixes the problem, it adds a lot of versions most don't need. It also lacked any uninstaller to remove these versions. Enter AIO Runtime libraries by Wilenty (Installer/Uninstaller) which adds the ability to not only uninstall old versions but to select which version is installed. But wait, there's more. 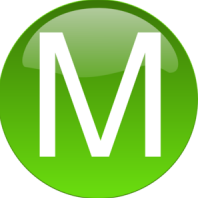 A menu has been added to check and see what versions you have installed with a total at the bottom of what can be installed. The command works with the /SUPPRESSMSGBOXES command only. 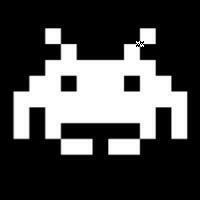 If the parameter is missing (eg. /SUPPRESSMSGBOXES), the selection window will be displayed. If you specify a different value (than 2015, 2017 or 2019) the default value (the best for the OS*) will be used, the same if you use the /SUPPRESSMSGBOXES command without the /SelectVcVersion command (or if the parameter is incorrect, for example /SelectVcVersion="2000"). Note #1: On the page above check "I will check it and see what I can do for you." and download the desired version. Wilenty requests that no direct download links be placed on other websites. Note #2: The HC (High-Compressed) version is slower, mainly on older computers than the LC version. Do both versions have the same files, just one is more compressed?? Whats the difference? Bug fixed. Thanks to Wolfzz for reporting! Because of download problems, I added an option that checks if the file is damaged. Simply execute the file and, if the alert is displayed, download the file newly.